WiFi Hacking Is Now Legal in Dutch ! Breaking in to an encrypted router and using the WiFi connection is not an criminal offence, a Dutch court ruled. WiFi hackers can not be prosecuted for breaching router security. A court in The Hague ruled earlier this month that it is legal to break WiFi security to use the internet connection. 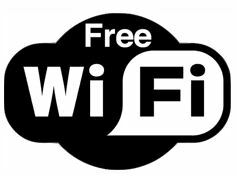 The court also decided that piggybacking on open WiFi networks in bars and hotels can not be prosecuted. In many countries both actions are illegal and often can be fined. The ruling is linked to a case of a student who threatened to shoot down everyone at the Maerlant College in The Hague, a high school. He posted a threat on the internet message board 4chan.org using a WiFi connection that he broke into. The student was convicted for posting the message and sentenced to 20 hours of community service, but he was acquitted of the WiFi hacking charges. The Judge reasoned that the student didn't gain access to the computer connected to the router, but only used the routers internet connection. Under Dutch law breaking in to a computer is forbidden. A computer in The Netherlands is defined as a machine that is used for three things: the storage, processing and transmission of data. A router can therefore not be described as a computer because it is only used to transfer or process data and not for storing bits and bytes. Hacking a device that is no computer by law is not illegal, and can not be prosecuted, the court concluded. If a secure WiFi connection is hacked or an open network is used for WiFi leeching, the action could be tried under civil law, said criminal lawyer Mathieu van Linde of Blokzijl Advocaten . The ruling led to some controversy in The Netherlands. Van Linde found the verdict "remarkable". He reckoned that most people from The Netherlands assume hacking a WiFi network is illegal. He also added that the law used by the court in this case was formed in the early nineties, and could be outdated, since it was not intended to cover WiFi networks. The Dutch attorney general decided to appeal the verdict. Within two years the case will be reviewed by the High Court of The Netherlands that will decide if a router can be defined as a computer under Dutch law. Hacking or even 'piggybacking' on an open WiFi connection is illegal in a wide variety of nations. In some states in the US unauthorized access of a network is an criminal offense, in other states piggybacking can be fined. WiFi leechers in the UK can be fined or arrested, depending on the intentions of the leecher.